How will this guide help me and my business? Given the fast pace at which digital marketing techniques change, it's important to keep agency teams up-to-date. At the same time, there is a wider shortage of digital skills. Our agency skills guide is aimed at helping you to create a culture of curiosity, create team development plans and so much more. The guide will help you create a talented, knowledgeable and highly skilled team. If your agency has a skills gap, then this is both a threat and an opportunity for your agency. A threat if you don’t address it but an opportunity if you put together a skills development plan for the agency and get ahead of your competition. We have created this guide for managers responsible for improving skills in two types of agencies. Firstly, creative or marketing agencies either new to digital marketing and who are looking to upskill their team or recruit people with the appropriate skills. Secondly, existing digital marketing agencies expanding into new service areas who are considering what new skills (that they need to take on board either people or via team development). As the use of digital marketing in all its forms continues to grow globally – with new technologies and techniques appearing seemingly on a daily basis - agencies should be looking to secure their future by investing in the skillsets of their teams. How is the guide structured? The guide is in two parts. 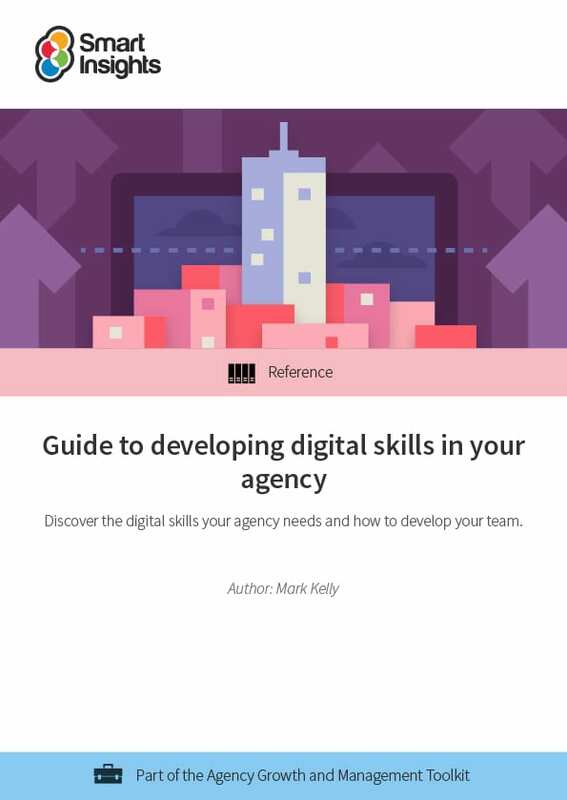 Part 1 is to help you begin assessing your own agency in terms of its digital skills abilities. Business members get full access to this and 16 other guides in the Agency growth and management Toolkit.